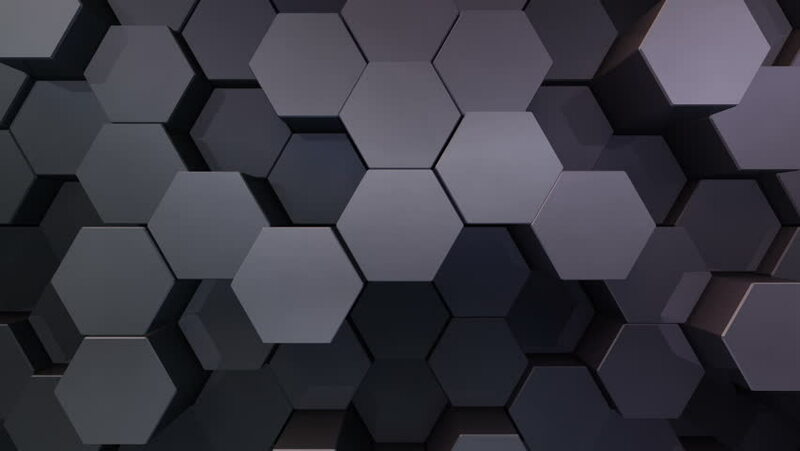 4k00:05Abstract Hexagon Geometric Surface Loop 2B: dark clean rounded beveled hexagonal grid pattern, motion background canvas darkened obscure dim cool shadowy dark gray black. Seamless loop 4K UHD FullHD. hd00:22Surface consisting of hexagonal metal plates.